Mapping – G Squared L.L.C. G-Squared believes topographic maps should not only be mathematically correct but also cartographically correct. In order to accomplish this, we typically collect more data than most mapping firms that rely entirely on their contour generating package to portray the earth’s surface. Spot elevations are dropped by the stereo compiler and not interpolated from the surface, as is becoming popular with many other firms. Contours are generated using TerraModel software or are traced directly on the stereo instruments, depending on the size of the project and the suitability of the terrain to be accurately portrayed using just a digital terrain model and the contour-generating package. DEM data is collected on both analog and scanned stereo images, giving us the best of both technologies. 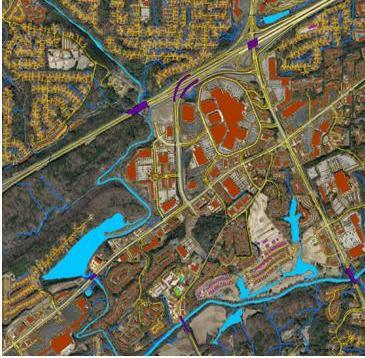 Many Digital Elevation Model projects generate only raw data consisting of mass points and break lines. This allows the client the option and cost savings of generating contours and surfaces, as they require. This DEM data is often used as the surface for the digital orthophoto generation. Today’s orthophoto process is literally one step away from the DEM data, making it a cost saving solution to the data capture of planimetric features when the digital features are not required. Planimetric Mapping is especially efficient on our Softcopy workstations. These instruments provide superimposition where the data collected is super imposed over the stereo model. 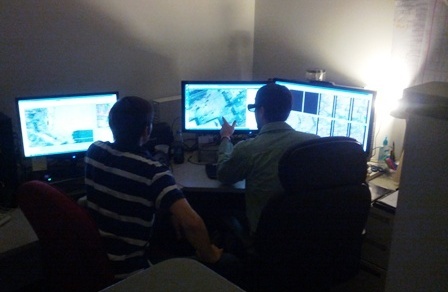 This allows the operator to validate the content of the map during data capture. Features collected will vary depending upon the map scales required and will range from 30 scale detail, such as steps and curbs, to 800 scale mapping with houses and other features symbolized. 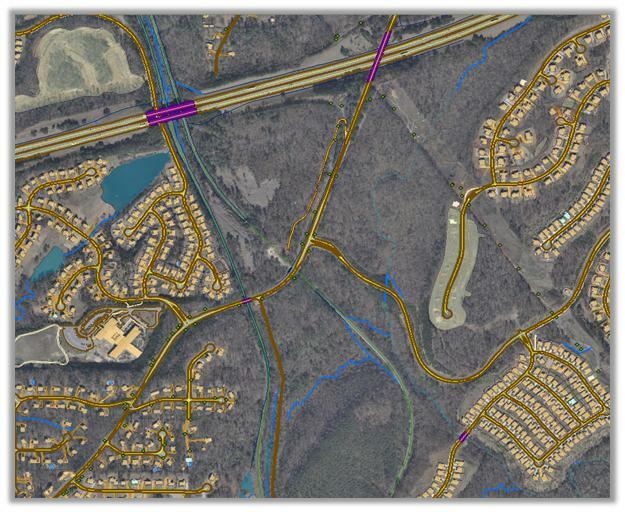 G-Squared can provide our clients with sample lists of features which are normally collected for each map scale. We also have readily available topographic data for several counties in Alabama and Tennessee. Call us with your particular needs.